WhoisXmlApi Mobile App Available on the Apple App Store & the Android Market! An App to find out who owns a particular domain & which domains are owned by someone. Ever had the need to access domain information when away from your desktop? 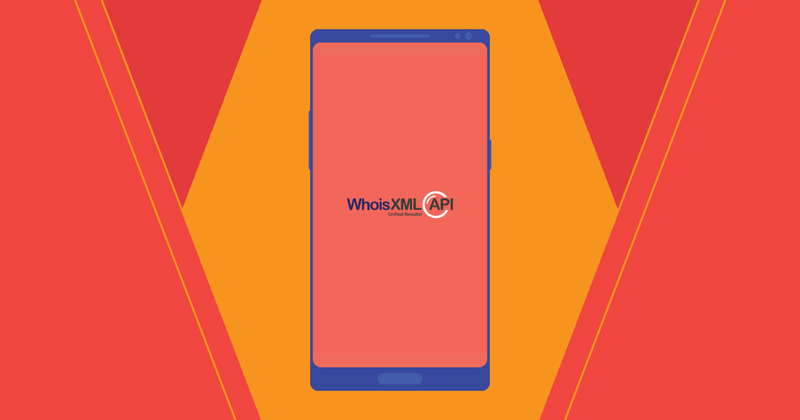 Available now, WhoisXmlApi App, that helps you find all the domain registration details, also known as Whois Records, on the go. Whois records contain key data points for domains including Registrant name, organization, e-mail address, registration address, registrar information, creation date, expiration date, updated date, domain availability, domain age, and much more. So all the information about a domain can now be availed by simply making a Whois Search on the App! Besides this, you can also perform Reverse Whois is search, wherein by searching for terms such as name, email, phone, address, etc. that are usually part of Whois record, you can find all the domain names that correspond with it. You can also get Whois Records for those domain names easily by just tapping on those domain names. Reverse Whois Search can be very useful in discovering all the domain names associated with an individual or an organization. So if you want to find all the domains owned by Peter Smith then all you need do is search for Peter Smith in Reverse Whois and you will get all the domain names that he possesses! Not only that, Reverse Whois can also be used to find connections between various domains, individuals, and organizations. We also have added filters which can help you in getting more relevant and precise search results. Now with WhoisXmlApi Mobile App, you can use your phone to lookup Whois details of specific domains or make Reverse Whois search for specific terms, and instead of navigating through the website, you can make these searches at the touch of a button. Doesn’t that sound great? Well, there is more, if you have used WhoisXmlApi before; you will know that we have one of the largest databases of domain Whois Records with over millions of domain records, covering almost all the existing TLDs. And even if that is not enough, all the data you receive is absolutely up-to-date and provided in a very simple and easy to understand format. So in effect, here is an easy-to-use app that will answer all your domain related questions. Well, don’t believe us? Why don’t you try it yourself! The App is absolutely free to use. Do let us know what you think about the WhoisXmlApi App by commenting below, as we’d love to know what you like or how we can improve on it.